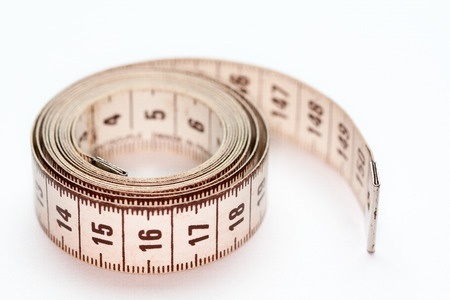 It’s often said that what gets measured gets done. 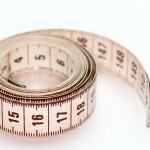 That means it’s good to measure how loyal your customers are. There are lots of different ways to do this. You could check how often someone buys from you or uses your services. You could measure how much someone spends with you. You could also check how long someone remains a customer. Many large corporates measure customer satisfaction and customer loyalty through Net Promoter Score (NPS). There is lots of clever science behind it, but you can have a simple system. First of all, though, you will need to have a system to always ask your customers for feedback! NPS uses research that showed there are 3 customer segments of customer loyalty. There are those customers who love you and will tell others about you (the Promoters). Then, those who think you are OK but don’t tell others about you (the Neutrals). Third, those who don’t enjoy doing business with you. They will tell others not to use you (the Detractors). You ask 100 customers how likely they are to recommend you. 25 score you 9 or more, 60 score you 8 or 7 and 15 score you 6 or less. That means 25% are Promoters and 15% are Detractors. 25% – 15% = 10, which is your Net Promoter Score. Improve the experience for the Detractors to make them Neutrals. Say you find that your customers want better communication during the sales process. You make the changes, tell them, wait a while and then do another customer survey. Let’s assume that 20% of your customers give you a better score because of the change. Of the 100 customers surveyed, 15 were Detractors. 3 of those are now Neutrals so you only have 12 Detractors. You did have 60 Neutrals, added 3 from the Detractors and 12 became Promoters, so you now have 51 Neutrals. You didn’t lose any Promoters but gained 12 from the Neutrals so now have 37. That means 37% are Promoters – 12% Detractors = 25, your new Net Promoter Score. That’s a huge change by making 20% of your customers happier. It will give you extra sales, fewer queries and complaints and higher profits. 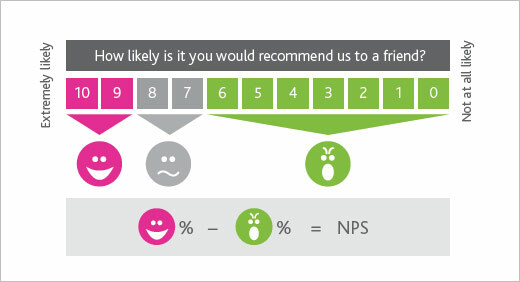 Don’t forget though, your NPS can get worse just as fast – even if your customer service stays the same. That is because customer’s expectations continue to increase. If you aren’t always improving, you’re not standing still, you’re going backwards!